! 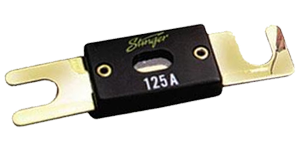 We offer a wide selection of fuse amperage ratings from 60 to 300 amps, the fuses are also available in either a gold or platinum finish. All of our ANL fuses are universal and will work with any aftermarket ANL fuse holder.